The Loc8 asset management module provides the Educational sector with a comprehensive solution to maintain their assets and faculties. Whether it is specialist lab equipment, infrastructure or facilities, Loc8 can provide institutions with the necessary tools to maintain their key assets. Loc8 can be the centre of your asset management strategy, from asset lifecycle management, replacement costs and maintenance scheduling, through to ad-hoc defect management and work requests from students and faculty staff. Loc8 can help you track all your mobile assets on campus, instantly give you their exact location and provide you with information related to their lifecycle. Additionally, Loc8 can integrate with IoT platforms to further increase the accuracy of geo-location, as well as automating warnings and notifications. With Loc8, you won’t have to worry about retracing the whereabouts of staff and assets. 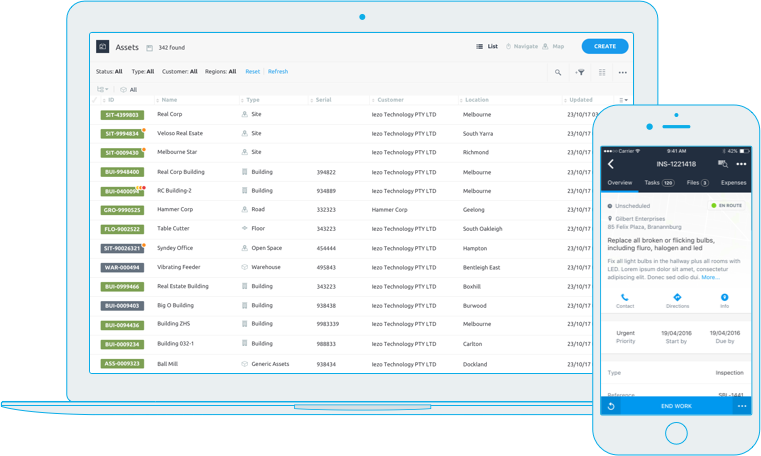 Loc8 allows all users to easily log a fault or a defect on equipment in real-time, therefore providing users with the ability to email requests directly into your system. 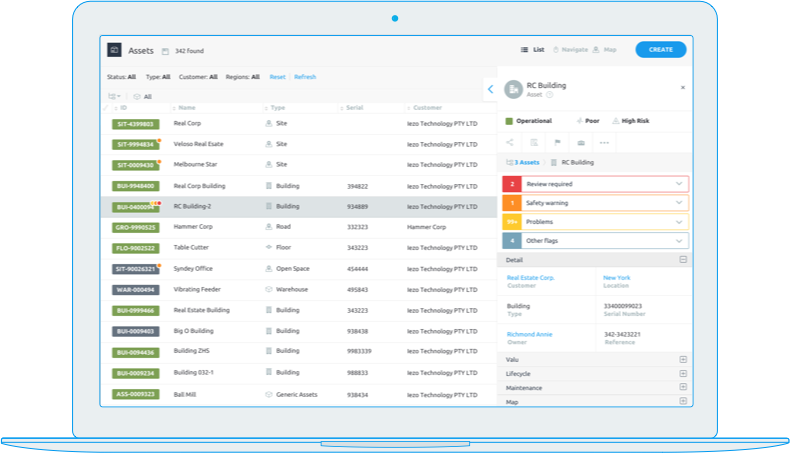 Lodge a request via a customized web form or use the advanced Customer Portal functionality to log and monitor work requests. This gives you the power to prioritise issues and ensure that nothing is being missed. Loc8 also keeps users up to date with pre-defined notifications so that all stakeholders can keep track of maintenance progression at any time. With Loc8, there is no need to use calendars or post-it notes to know when it is required to perform critical preventative maintenance on equipment. Whether it is periodical maintenance, compliance or any other form of planned maintenance, Loc8’s advanced Preventative Scheduling function has you covered. 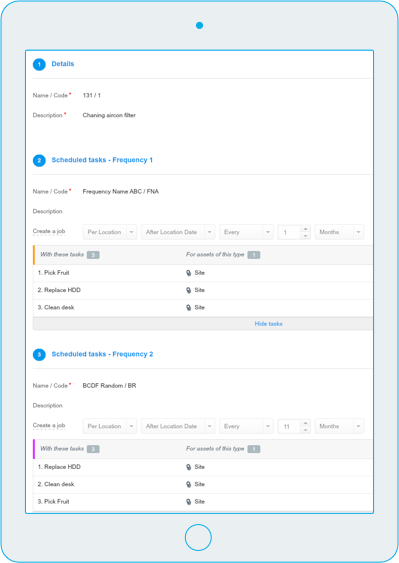 Standout features include customisable schedule generation parameters, multiple frequencies for scheduling with individually configurable tasks that need to be completed. Set and forget scheduling has never been easier! We know that budgeting is an important factor in both procurement of assets as well as maintenance/work undertaken on campus. Loc8 takes the guesswork out of this by providing comprehensive budgeting functionality so you know exactly your past, current and future expenditures as well as percentage of budget – allowing you to prioritise jobs. Loc8 allows users to fully customise the asset types in their Loc8 system as well as custom parameters and data sets. We have many students who need to log maintenance requests. How can we do this? Loc8 provides many entry points into being able to log a request. A customised webform is an easy and hassle-free option for situations where many people may need to log a request. This form can be linked through an intranet page for easy access. Can we assign external contractors to jobs and how does it work? Absolutely! Contractor portal users will be able to create their own field users and assign them to jobs that they have been allocated. These users will also be able to login to the Loc8 Mobile app for job completion. 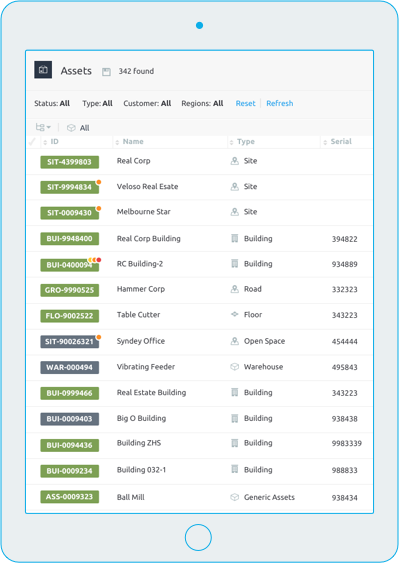 Loc8 has multiple out of the box user types that generally caters to most requirements. However, if required, users can create custom user groups that have more specific restrictions to certain data.